My teenage cousin Damo sent me this review of 47 Ronin the other day. I thought it was a pretty good read and I was not intending on writing anything on the film myself, so thought I would publish it here. Some may question the wisdom of employing a teenager to write a film review. But when that gangly teenager knows Ken Watanabe is the boss, well the future is in good hands. 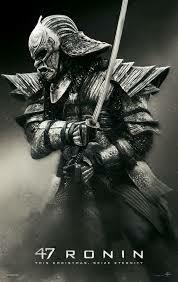 47 Ronin (2013), sounds simple enough – coolish cast, pretty decent sounding story and Keanu Reeves is in it! That guy from the movie about taking the pills! Though this one seemed to lack in certain departments (judging by the trailers) and every other person has panned it, I decided to give it a shot. So here we go. The film sees Keanu Reeves as an outcast; loving a girl he can’t have; who guessed it? The whole star-crossed lovers thing was a little silly but I got past that. After an incident involving a bewitched lord and some land thieving our man Keanu ends up in exile. So far not a lot had gone on, but I felt something coming and wasn’t really surprised when the head of the dead lord’s Samurais (now called Ronin because they have no master to protect) goes looking for his buddies (other Ronin) to seek vengeance against the dude that took their land. Some five minutes later, he’s traversed half of Japan to seek Keanu Reeves who’s been enslaved to some sort of oriental fight club run by English pirates at some dock. Yada yada yada, they all meet up and get some swords, and all is looking up for the boys! The 47 men have vengeance in mind and travel to where intel tells them they can find the guy that I mentioned earlier. It’s a trap! MY GOD! That took nobody off guard! The boys regroup and decide to strike while the… ah.. Samurai sword is hot? 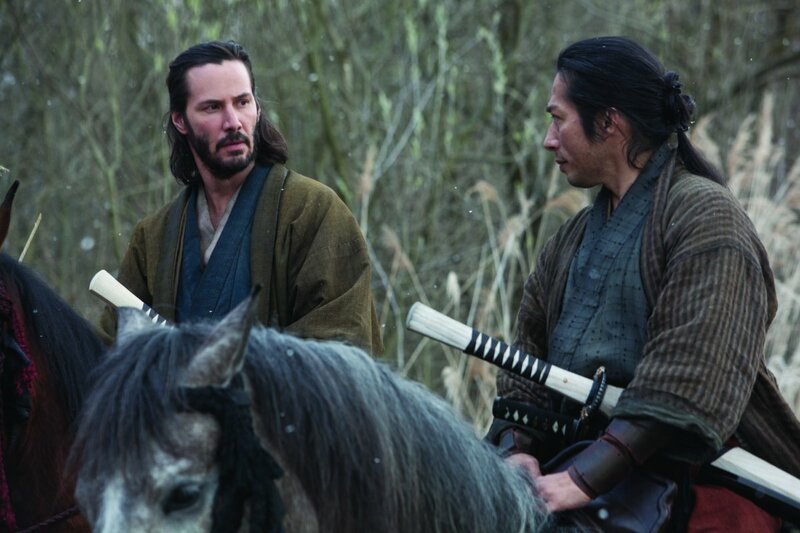 Sorry, felt the need for a Samurai themed metaphor… The fight scenes that follow their attack are generic but Keanu Reeves’ cool extra special powers (he was trained by Japanese Demons called Tengu so look that up) help him kill a dragon/witch/scary/lady. YAY! (SPOILERS AHEAD) Together, the Ronin kill all the baddies and vengeance is achieved, the boys go back home and their Shoman (head of all Japan and that) orders them to kill themselves. He grants them an honourable death and everyone’s’ happy. A cool ending in hindsight though, I appreciated that they kept the ending without some sort of Disney like “And then the Shoman decided to let them go because they helped save the day!” type get-up. Then some extra history to finish the movie about how the 47 Ronin shall never be forgotten and then yeah. Run Credits. The international cast was a plus; full of goodness and talent; but if Ken Watanabe had been in it it would have been doubly awesome! Some cool modern Last Samurai (2003) stuff between Watanabe and Keanu Reeves would have been dynamite! Just because I love Ken Watanabe! Damo is my first cousin carrying on the family trade with his film reviewing chops. This is his first ever published review and far superior to my first ever published review. Damo is also a killer singer-songwriter, so give his stuff a play right here and like his music facebook page here. 🙂 Great review, but DEFINITELY not something I will be checking out! I wish this was good 😦 great review Damo! Welcome Damo, thanks for the review. Good review of a less than stellar film.